There has never been a better time for your office to go paperless! Whether you’re a solopreneur, freelancer or small business owner, a paperless work environment saves time and money, helps you get organized, and makes a major contribution towards protecting the environment. The best part is, thanks to paperless productivity apps and organization hacks, going completely paperless is utterly painless. In fact, you’ll start to wonder how you managed to get anything done during the dark ages of paper. Check out these awesome apps and products that will make your dream to go paperless a reality! Even if you’ve switched to Google Drive and stopped printing documents on the daily, you still may find yourself pressing CTRL+P every time you or an employee needs to sign something. Contracts, tax forms, special deliveries – small businesses require a lot of signatures, resulting in a whole lot of wasted paper. Hello Sign lets you sign documents through your web browser or mobile device without printing, scanning, or faxing anything. Everything is totally secure, and your electronic signature is legally binding and accepted by the IRS. Think of all the money you’ll save on ink and the time you’ll save scanning and faxing just by switching to e-signatures! Planning an event? Of course you are, you social butterfly, you. Eventbrite lets you take ticketing to the next (green) level. Go paperless with mobile payment options, electronic tickets, and completely digital attendee check-in lists. You can even take paperless payments at the door before sending your customer an eReceipt. Imagine thousands of people attending your event without having to deal with a single scrap of paper! This smartphone app is only for paperless pioneers – and maybe for those of us that tend to misplace important things like, say, our wallets. Lemon Wallet lets you store digital versions of important cards right on your phone. Leave your driver’s license, credit cards and insurance card in the safety of your home while you rest easy knowing you’ll never lose your wallet again. Merchants and retailers can access your accounts by swiping your smartphone, which updates every card’s balance dynamically. If you want to go paperless, step #1 is – drumroll, please – getting rid of existing piles of paper! 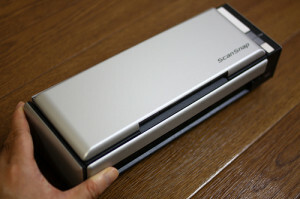 The Fujitsu SnanSnap receipt scanner digitizes your paper receipts so you can start that long-awaited recycling party. In addition to sending scans directly to your Shoeboxed account, you can create reports, edit data, label receipts, and scan multiple pages at a time. You can also get a portable version of the ScanSnap for scanning large amounts of documents while traveling or working off site. Remember how much paper the Accounts Payable and Accounts Receivable departments used to generate? Xero helps you go paperless with cloud-based accounting software that does the work for you. Synch all of your business bank accounts, share info with your accountant, accept payments from clients and customers, create and send invoices, and get a comprehensive snapshot of the financial health of your small business. This groovy account management software lets you view “everything in your life, all in one place.” Scrap the laundry list of usernames and passwords, and log in to Manilla to view all of your financial accounts, subscriptions, bills, payment plans, travel rewards, and other programs. Save tons of time – and paper – by running your online ‘errands’ with a single click. Until absolutely everyone finally (finally!) quits faxing stuff, you’re still going to have send and receive the occasional fax. Happily, with HelloFax, that process is no longer a pain, and it’s now completely paperless! Send and receive faxes without paper, and without a fax machine. HelloFax lets you keep the exact same fax number but switches the entire process to online faxing via email. Your customers can still send faxes the old way, while you’ll lead the way with completely paperless faxing. Shoeboxed is the fastest way to turn a pile of paper clutter into digital, organized data. 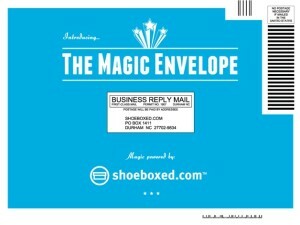 Submit documents via email, the Shoeboxed Receipt and Mileage Tracker, desktop uploaders, or regular mail using their famous Magic Envelopes, then sit back and watch as your documents are consolidated into one searchable, online database. You can also export your data from Shoeboxed to a number of other tools and programs you already use like Evernote, QuickBooks Online and more. How can you ever expect to go paperless with those pesky PDF files still lurking around? When trying to convert PDFs to other types of files in order to make changes, you may find yourself having to print, copy, and even – yikes! – get out the White Out. Nitro lets you edit PDF files as if they were Word documents. You can easily convert them into the file format of your choice, add new content, make revisions, and even create spreadsheets. Remember everything using Evernote, a fan favorite for storing documents, notes, recipes, photos… anything, really! Their fantastic search function makes it easier than ever to find whatever you’re looking for in seconds. And what’s even better is that you can access Evernote from anywhere– it works on almost every computer, tablet and mobile device out there. Phew! Way to go paperless, young pioneer. By implementing these cutting-edge services, you’re leading the way in the small business green movement, saving your startup tons of cash, and finding more and more time to enjoy the things you love. What’s your favorite way to go paperless? Thanks for the mention Emily! You’re welcome! Actually, I recently submitted my very first card to Lemon Wallet! The app and first time user experience is really slick. Emily, thanks for including HelloSign and HelloFax in your post! We’re avid users of shoeboxed. Receipts were a huge hassle before you were around.